Ever since the establishment of large firms, companies and businesses loans and line of credits have literally become a necessity. Even though there is a huge difference between loans and line of credits but the need for both is somewhat the same. A line of credit is one of the most misinterpreted and misunderstood subjects among startup founders, businessmen, and entrepreneurs. And it’s honestly not their fault. It is mainly because the information regarding the subject is too generic which confuses an individual which ultimately leads to misunderstanding and misinterpretation. Business Line of Credit is generally a financial instrument which tends to work for an organization’s short-term capital needs. For instance, upcoming project costs, inventory and firm’s payrolls etc. LOC is mainly a type of loan in which the bank extends the allowance for you to borrow or withdraw money for a specific purpose. It is typically the amount of money which can be charged to a credit card account. Like everything else has its pros and cons. Business Line of Credits does too. The LOC has both, advantages and disadvantages based on which it can be judged whether it is beneficial for the new startups or not. To find out keep on reading. Talking about the advantages first. There are several advantages to the business line of credit which can help an organization in several distinctive ways. Have a look at the pros to find out. One of the biggest advantages of the Business line of credit is that it allows you to withdraw funds whenever you need them. If you are stuck in a financial crisis a LOC will always help you in finding an immediate solution. This means you will never get stuck in paying debts and interests anymore!!! Even though there should always be an arrangement whenever the market is tougher but you never know how long the crisis will last. Sometimes, the crisis can actually last longer than the money does and that’s when Line of Credit works. The best attributes of negotiating Line of Credit is the relationship you build with the lender. With time, it also helps you in financing for the future and upcoming projects. The best thing about the business line of credit is that it doesn’t always require a reason for the loan. You can use the loan for several different purposes. For instance, solve the financial crisis, any other business problem and firm’s payrolls etc. Everything has pros and cons. Just like that line of credit does too. Although, the disadvantages are comparatively less than the advantages they might make you wonder whether to use it or not. The Business line of credit has smaller borrowing limits which makes them less suitable for solving the huge financial crisis. The business line of credit is best for small unexpected charges but not for large investments and crisis. The costs required to establish and maintain the line of credit can be a major drawback of LOC. Obtaining and establishing a line of credit requires a specific amount of fees without which you cannot get a line of credit. Smaller businesses might have trouble qualifying. Even the small businesses which meet higher qualifications might also have trouble obtaining the line of credit. In order to obtain one, smaller businesses also require to bring other businesses accounts with them. 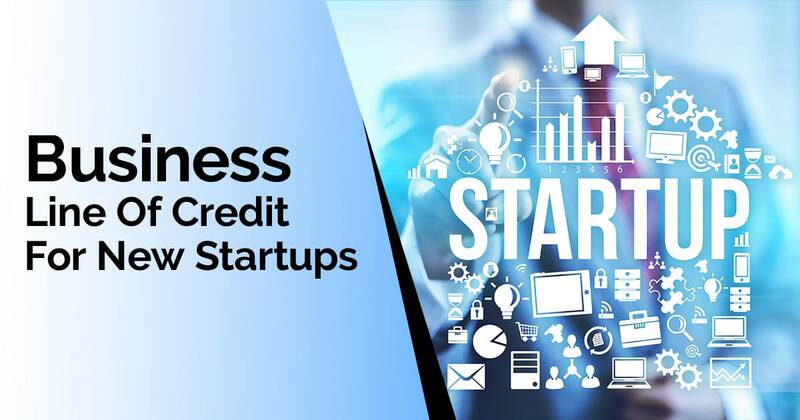 If you are new to business startups and are in need of a line of credit than I certainly think that this information is enough for you to get you moving in the right direction.